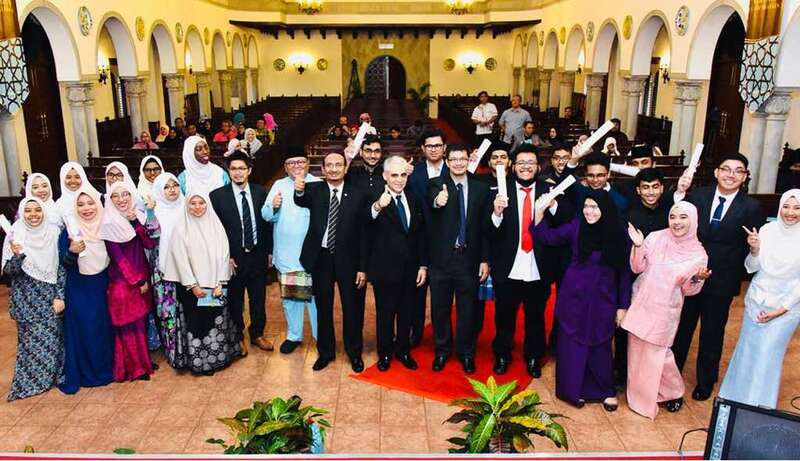 KUALA LUMPUR, 26th January 2018 – A group of 30 students created history today after receiving their certificates for completing their foundation studies at IIUM Academy of Graduates and Professional Studies (IIUM ACADEMY). 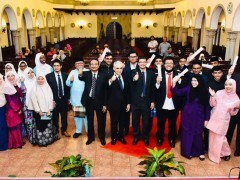 International Islamic University Malaysia through IIUM ACADEMY previously known as IIUM Crescent is the first public university in Malaysia to open the foundation studies to international qualifications. According to Prof. Dr. Aahad M. Osman Gani, the Dean of IIUM ACADEMY, international and local students who meet with the minimum international qualifications required may enrolled to the programmes offered. “We are proud to be the only public university in Malaysia, to be allowed to accept foreign students in the foundation programmes.” Prof Aahad added. Up to this point, only Malaysian students allowed to enter foundation programmes in all local universities based on the qualification from the Sijil Pelajaran Malaysia (SPM). In November 2016, a total of 30 international and local students enrolled in foundation programmes located in IIUM Kuala Lumpur campus in four courses namely, foundation in Laws, Human Sciences, Economics and English Language. While foundation in science programmes were located at Petaling Jaya and Gambang campuses.